When the winter winds start blowing, many North Americans start looking for all-inclusive vacations in Mexico. And with good reason, since anywhere from $1000 and up, per person, will buy you a week of sunshine and beaches and entertainment in Cancun. But for those who want more on their holiday in Mexico, adding on day trips from Cancun with some Mayan adventures means you can take home some culture and history as well as a suntan. Cancun, on the northeastern edge of Mexico’s Yucatan Peninsula, is one of Mexico’s most popular tourist destinations. Approval for its development was given in 1969, with construction of roads and hotels in the early 1970s. During the next half-century, it has grown from a tiny village to hosting, along with Riviera Maya, around 8 million visitors annually. 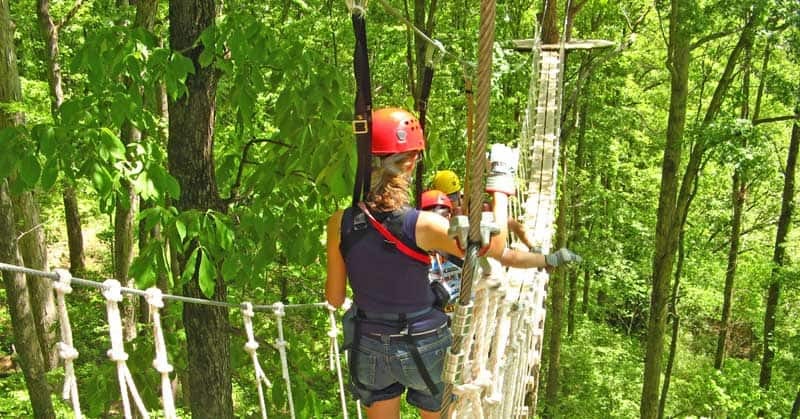 Interested in an adventure on the Riviera Maya? These five day trips from Cancun let you enjoy everything from 3000 year-old Mayan pyramids, to paddling, to parasailing! Ancient Mayan ruins at Tulum, Mexico. In the 13th century, Tulum was a thriving walled city overlooking the azure waters of the Caribbean Sea. With trade from both land and sea, it was a bustling center connecting traders from Honduras right to the Yucatan. In fact, the amount of traffic may be the reason it’s one of the only fortified Mayan cities in Mexico. Indeed, it’s one of the best preserved coastal sites. The thing that makes Tulum one of the most popular day trips from Cancun is that it’s just 130 km south. If you have a rental car, there’s paid parking, or, if you’re like me, you can just sign up for a tour and be picked up at your hotel. 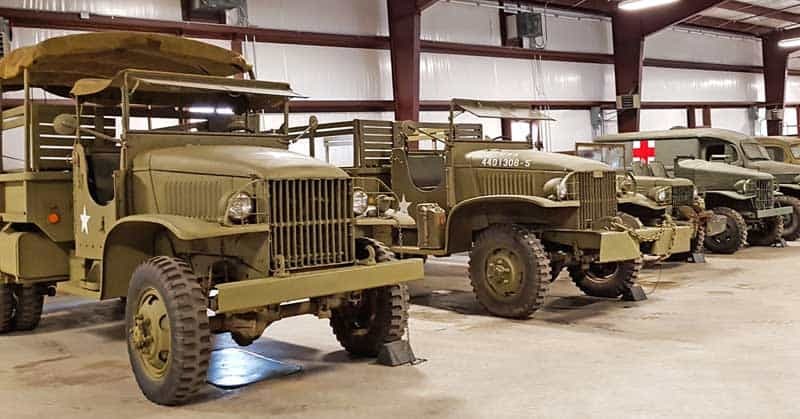 Local bus service is also available. You’ll find it’s easy to spend a whole day in Tulum, exploring the Mayan ruins and checking out the beach. In fact, Tulum’s beach is considered one of the most beautiful in Mexico. 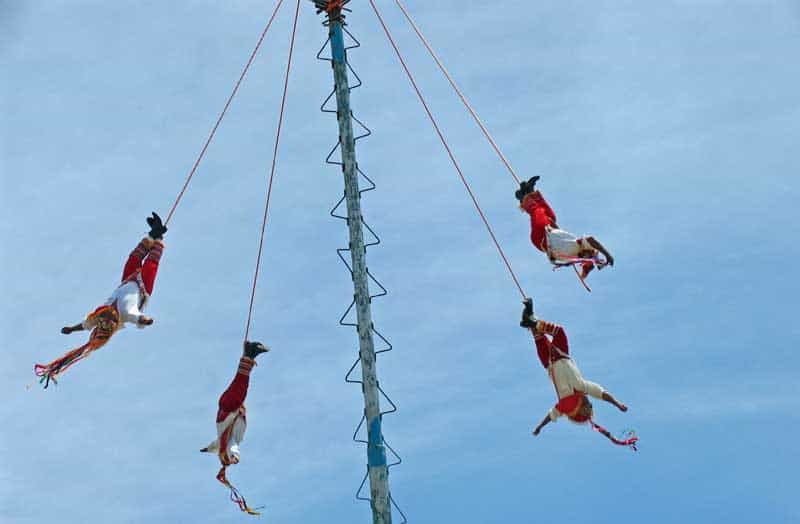 See Danza de los Voladores, or the Dance of the Flyers, on one of your day trips from Cancun in Mexico. My favorite part of Tulum though, was seeing the Danza de los Voladores, or the Dance of the Flyers, an ancient Mesoamerican ceremony/ritual adapted to their modern belief system. Since I’m not particularly coordinated, any type of choreographed dance is beyond my skill level, so watching these four “dancers” swing around a pole 100+ feet above the ground was absolutely incredible. 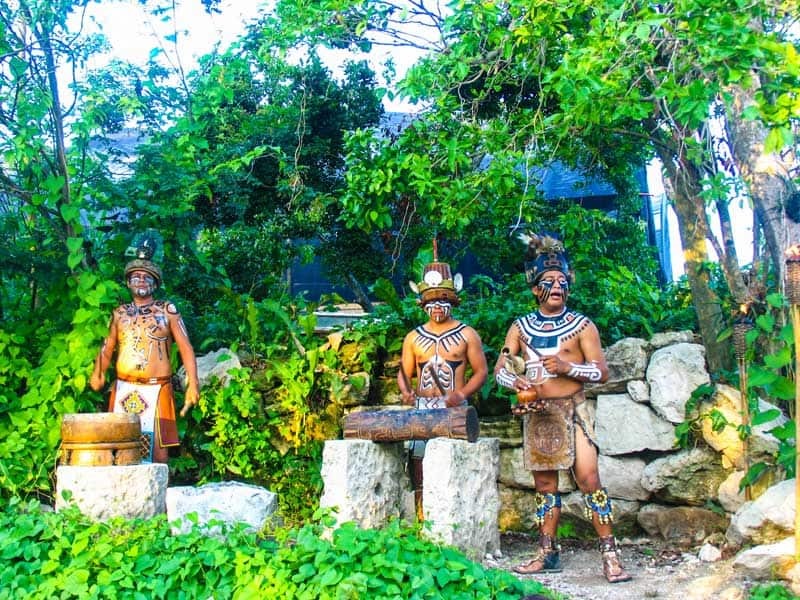 If you miss them in Tulum, you can catch daily performances at Xcaret. Mayan village in Xcaret park in Mexico. 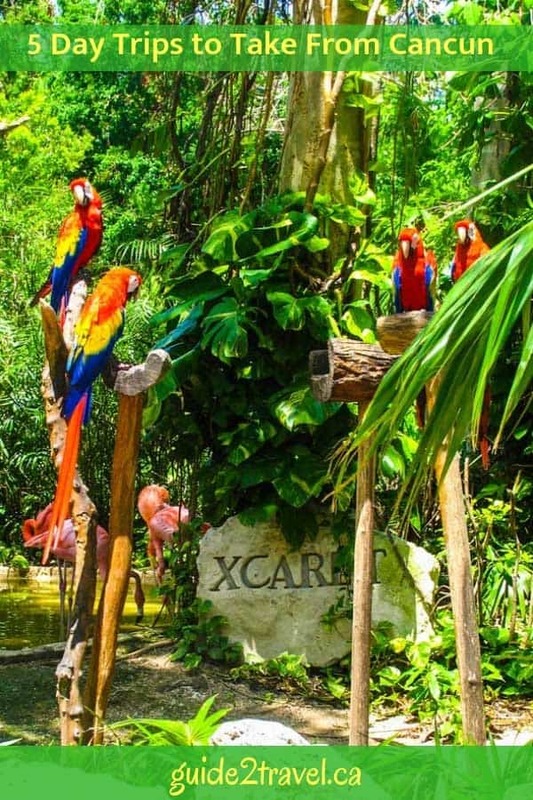 Xcaret is a theme park located in Playa del Carmen about 75 km south of the International Airport, making it a great day trip from Cancun. 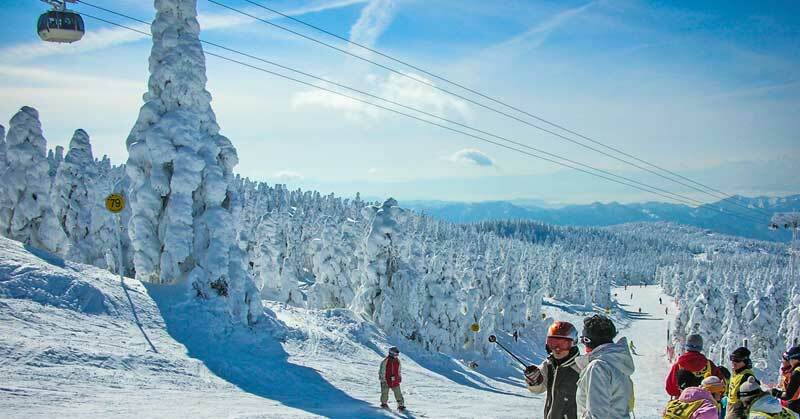 Even if theme parks aren’t really your thing, there’s a lot to see and do. I know my day was exciting, especially floating down the underground river through a maze of caves and tunnels. Since I can’t actually swim (lifejackets are amazing! 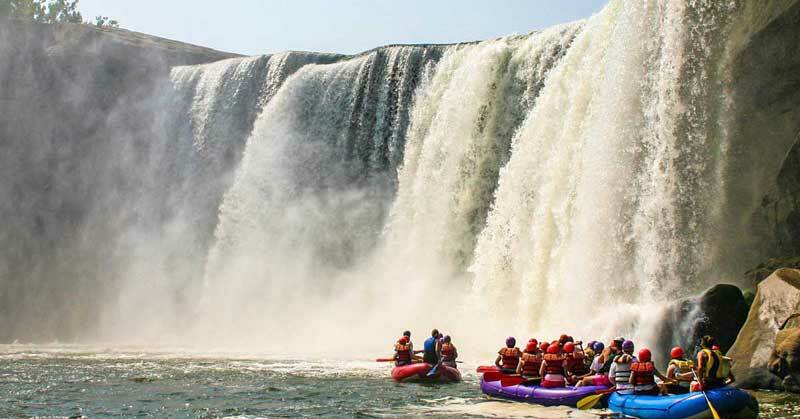 ), I had to cut my journey short when I hit strong currents. However, others told me the final stretch that lead out to the sea and the pink flamingos living in the mangroves was amazing. As you might imagine with all it has to offer, the park at Xcaret has become one Cancun-Riviera Maya’s most popular tourist destinations. 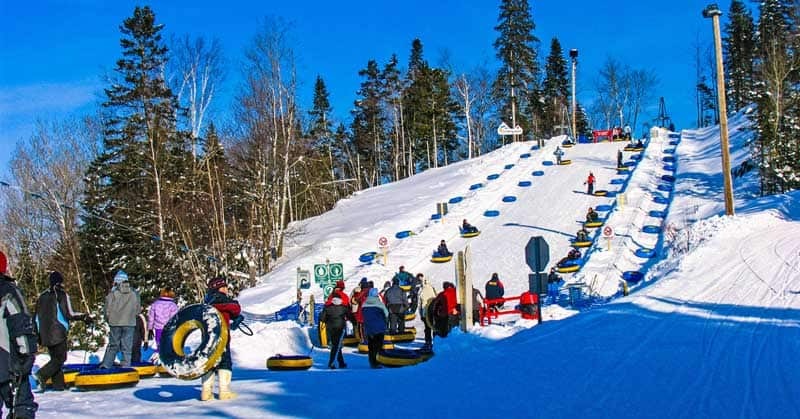 And there are many more adventures for young and old alike for an extra fee. Kids will enjoy snorkeling with stingrays in a natural lagoon, as well as swimming with dolphins–and even riding one! Grown-ups can choose options from being pushed through the water by a dolphin to gazing down at the waters of the Caribbean from a 600 ft (200 m) high by parasail! Xcaret México Espectacular performance tells the story of Mexico in song and dance. My favorite part of Xcaret? The Xcaret México Espectacular evening show with its seven course gourmet dinner. 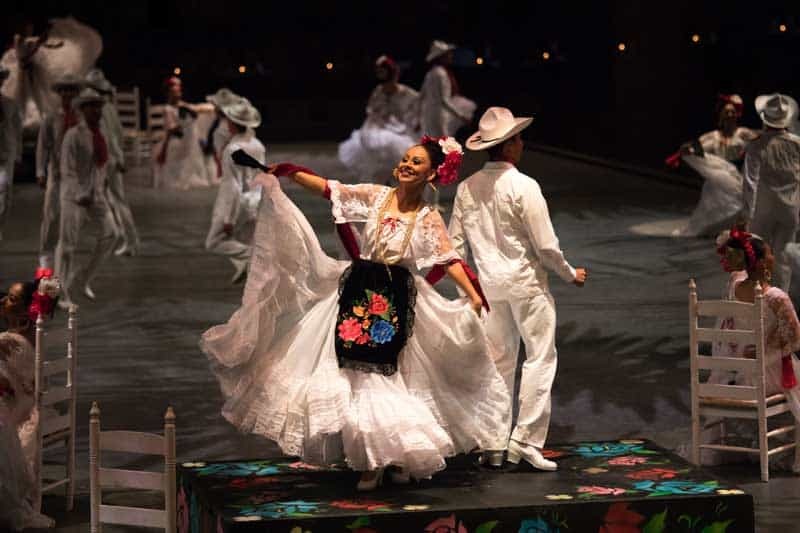 Telling Mexico’s history in song and dance, then switching to the cultures of its different regions for its second half, the show is both educational and entertaining. The massive theater holds thousands of guests, plus up to 300 artists on stage as well as an animal cast of horses and birds! El Castillo Pyramid at Chichen Itza when it was still open for climbing by tourists. Few visitors to Cancun miss the 200 km day trip from Cancun to Chichen Itza, in fact over a million people visit each year. This historical site was named one of the new seven wonders of the world, plus is a UNESCO World Heritage site. 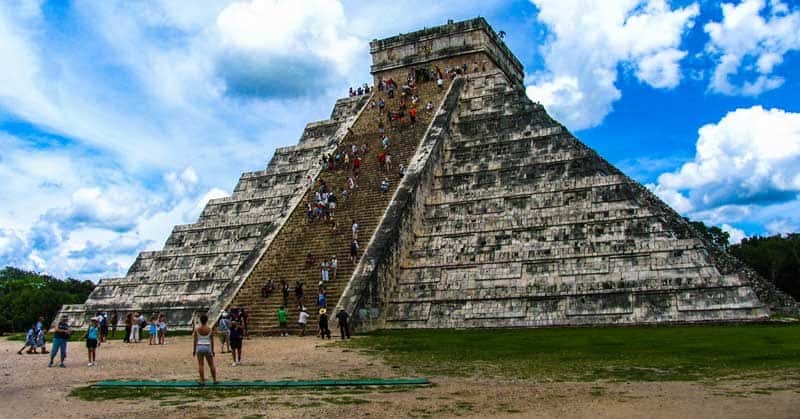 While you can explore all of Chichen Itza’s archaeological ruins with the price of admission, the famous 30 meter high El Castillo pyramid has been closed to climbers for a number of years. 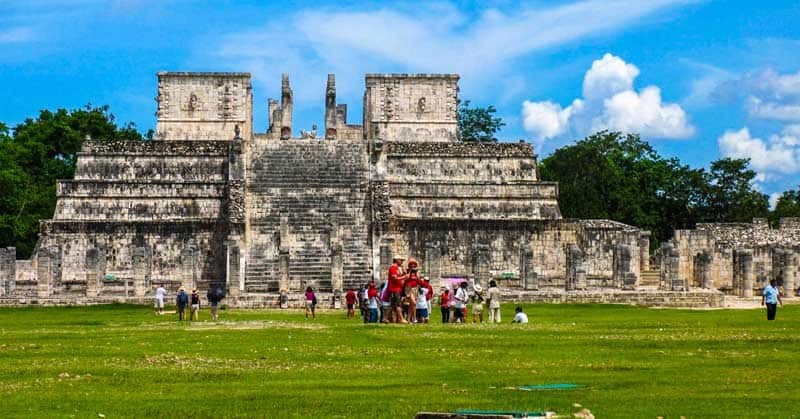 To get the most out of your visit, I’d recommend a guide or a lot of advance research, as there are many wonders of Mayan culture to learn about here. The ball court was my favorite area, although I must admit the Wall of Skulls also fascinated me. 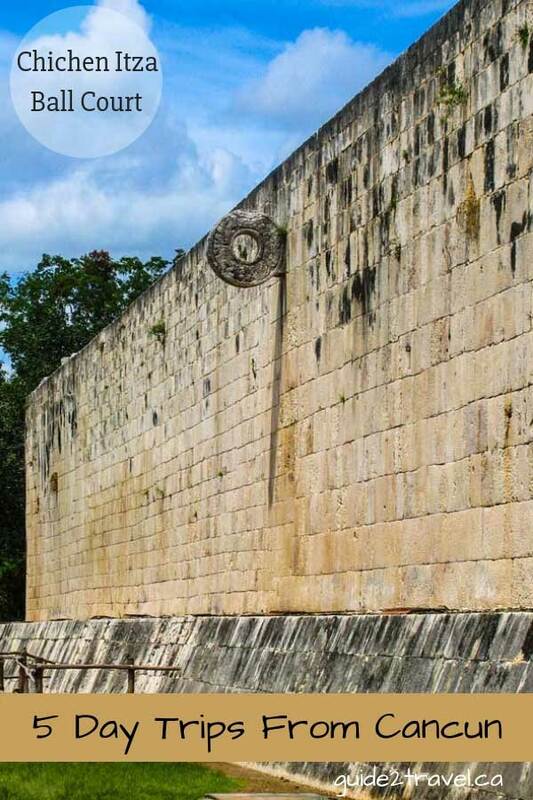 All ancient Mayan cities had ball courts, with the largest at Chichen Itza measuring 146 meters by 37 meters with vertical walls almost nine meters high. Ancient Mayans needed great skill to hit a ball (representing the sun) through the hoops using only elbow, knee or hip. And since reliefs on the lower parts of the walls seem to depict losers being sacrificed, the game wasn’t a challenge accepted lightly! Temple of the Warriors at Chichen Itza. You’ll find a number of buildings constructed during the 1000 year long period that Chichen Itza was inhabited have survived in the 10 sq km complex. Remains of the Mayan-Toltec civilization include the circular observatory, El Caracol, the Jaguars Temple, Temple of the Warriors and other smaller buildings. 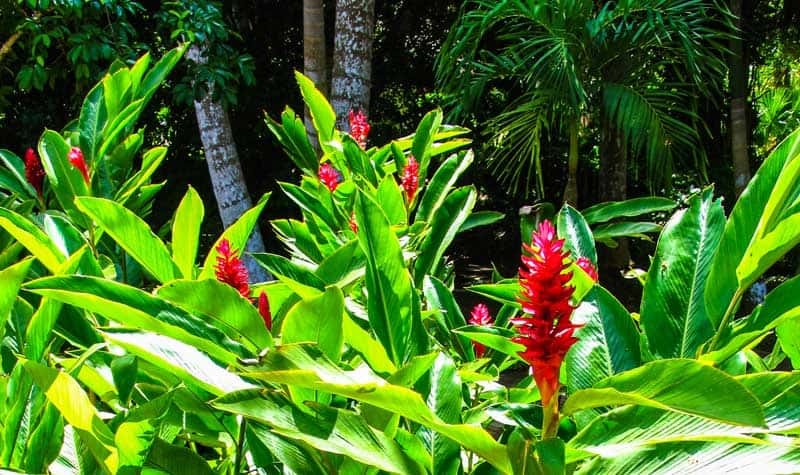 Alltournative tours provide a Mayan jungle adventure that’s all about exploring another culture and learning about their environment. 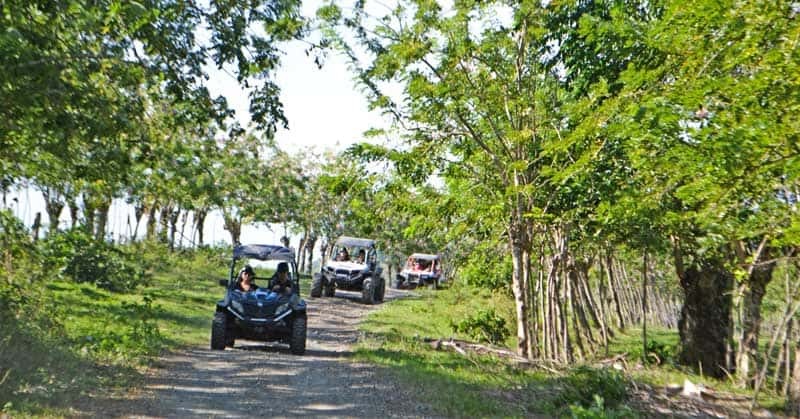 These ecotourism day trips from Cancun experiences are on Mayan land and guided by Mayan people who pick you up at your hotel. 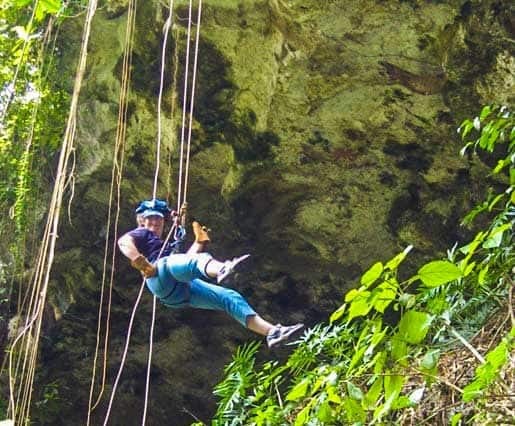 While there are various combinations of activities you can take, I was a guest of Alltournative on one that included walking through the jungle, kayaking across a lagoon, flying on a zipline, and rappelling into a cenote. My activities began with the jungle walk. Our guides talked about the different parts of the ecosystem and how the Mayan people had survived for centuries in it. One thing I found a bit disconcerting was that the jungle has poisonous trees that sounded a lot more dangerous than the poison ivy plant I was familiar with back in North America. Apparently, though, the antidote tree generally grows beside it. That, I thought, was a perfect match! While the jungle trees weren’t as tall as I’d expected, the jungle itself was as green and vibrant as I’d always imagined. The bird calls and songs definitely weren’t from a Saskatchewan bluff, nor were the flowers. I didn’t have the privilege (luckily!) of meeting the king of the Mayan jungle, the jaguar, or the chulul, another small cat. 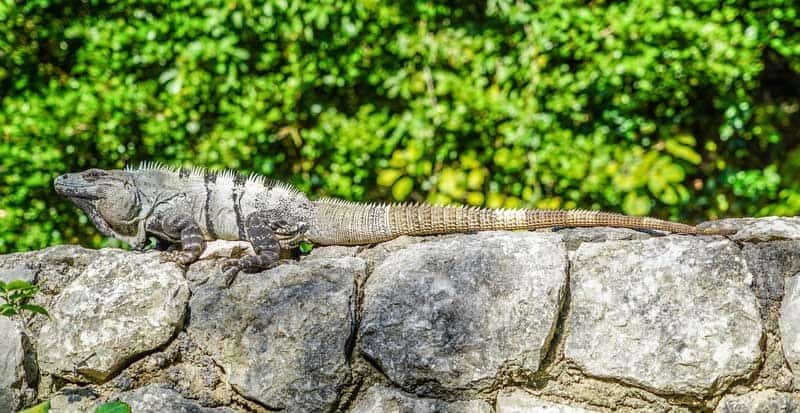 Iguanas are green or bluish lizards that are native to tropical areas of Mexico, Central America, South America, and the Caribbean. However, there were lots of iguanas, here and everywhere in Mexico it seemed. The fastest running lizard on earth, the guide affectionately called these creatures Mayan chickens. Although I was somewhat intimidated by the largest ones–they grow up to a yard and a half in length–they seemed to ignore people altogether. Continuing to walk, we soon reached a lagoon that we paddled across in pairs using provided kayaks. The water was relatively shallow, similar to what I’d call a slough back home. 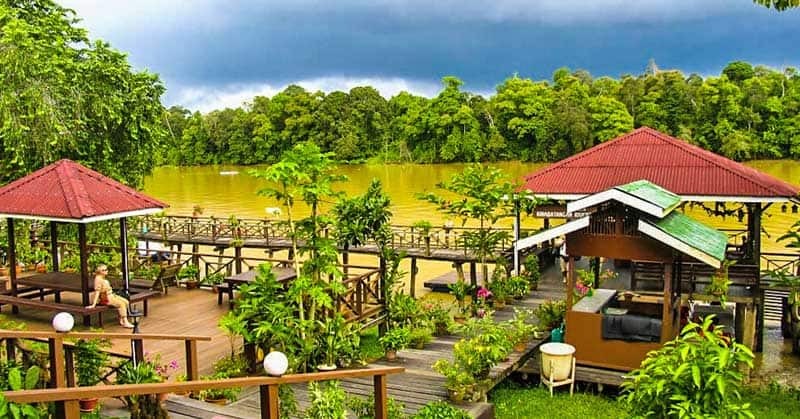 After more hiking through the jungle, we reached the first challenge–a zipline back over the lagoon to the other side. The Mayan zipline reminded me of the clothes line, complete with the box she stood stood on to use it, that my grandmother had when I was a child. Since it was that or another hot walk in the jungle, I built up my courage and hopped on the box to give it a try. Linda Aksomitis rappelling in Mexico on a Mayan adventure. Safe in my harness, I flew–seriously–the wind blowing my hair and the smell of the lagoon plant life in my face–about as fast as was humanly possible over the water. My braking efforts were futile. Rather, two very able Mayan guides caught me before I could take out the landing platform! I’m not much for heights, so peering over the edge of the overlook into a cenote was hard–dropping off one was even harder–especially backwards! However, letting go was the only hard part. Kicking myself back from the rocks with each stretch of rope I reeled off came naturally, and I was standing at the bottom of the cenote long before I was tired. Since cenotes are sacred places to the Mayan, considered a gift from the gods, we participated in a Mayan ceremony after climbing back to the surface. lk-Kil Cenote at Chichen Itza in Mexico. Stock photo. 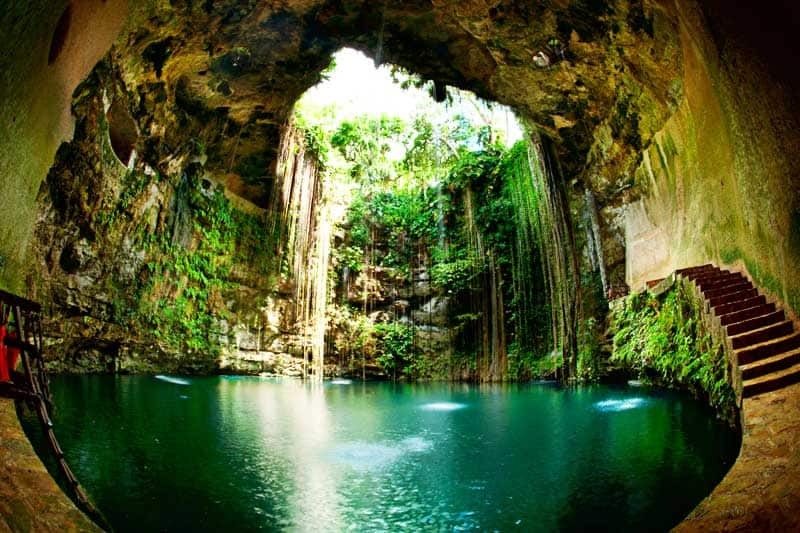 If you’ve never heard of a cenote, it’s a sinkhole or natural pit with groundwater or a pool at its center. 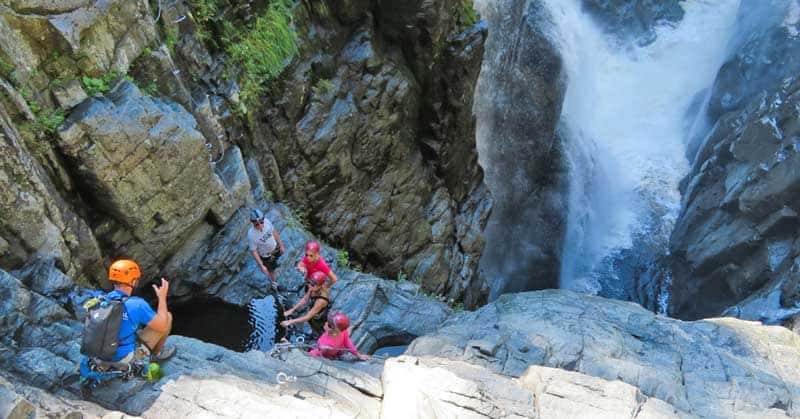 The drop to the pool is up to 40 feet and the depth of the pool is up to 100 feet. The cenote we rappelled into had eroded, so it appeared to be just a coulee or dip. However, we also explored a cenote later that was completely underground. It was accessed by a small opening like something an animal might have made–think of crawling through the legs of your kitchen chair! Once inside, it was impossible not to be impressed by the cavern. And finally, my day of adventures wrapped up with a delicious lunch cooked and served by local Mayan people. Lxmoja pyramid in Coba in the Yucatan in Mexico. The ruins of Coba–a Mayan village that at one point had up to 45,000 inhabitants–can be a day trip alone or combined with a trip to nearby Tulum. 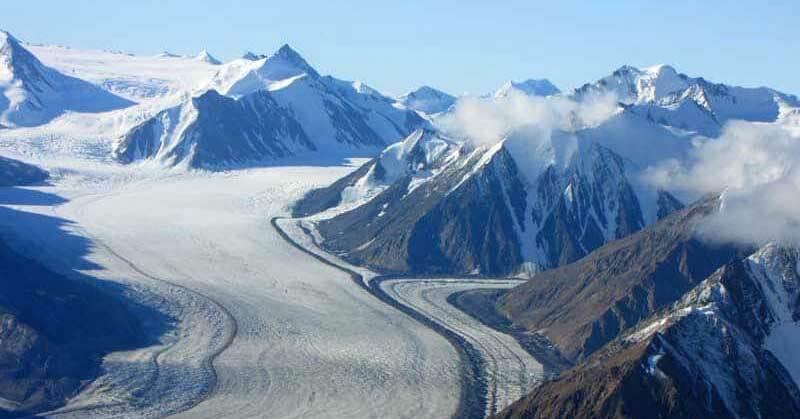 Known as the City of White Roads, it still holds many mysteries about the ancient people who inhabited it. Coba is situated by four natural lakes. 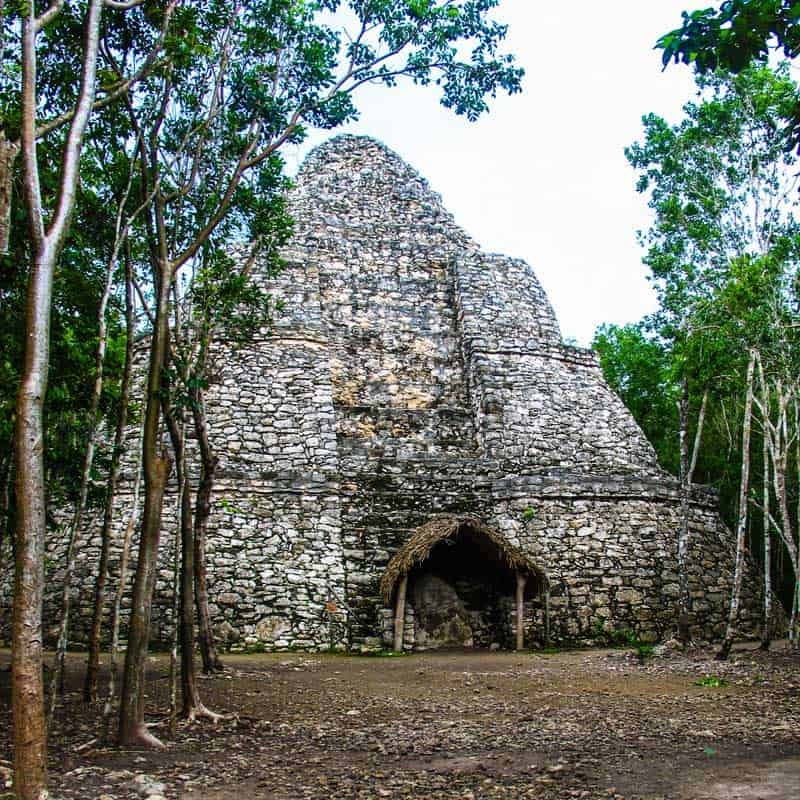 The Lxmoja (also called Nohoch Mul) pyramid is 42 meters or 138-feet high–the tallest pyramid in the Northern Yucatan. There are up to 6500 structures here, with only a few completely cleared from the jungle that surrounds them. Coba has over 50 sacbes (white rock roads) built 1200 years or more ago leading in many directions, the longest 100 km, ending close to Chichen Itza. Two ball courts and some elaborately carved vertical stone tablets called stelae have been uncovered. I found Coba intriguing, particularly the roads, which had been created for foot traffic. While Mayans had knowledge of the wheel, they didn’t use it for transportation devices since they lacked draft animals to pull carts. To date, archaeologists have discovered 50 of these sacbes–white roads–a dozen of which are open to the public to explore. Luckily, I was able to climb the 124 steps to gaze out at the jungle from the top of the pyramid and imagine myself back in the time when the Mayan culture thrived in Coba. 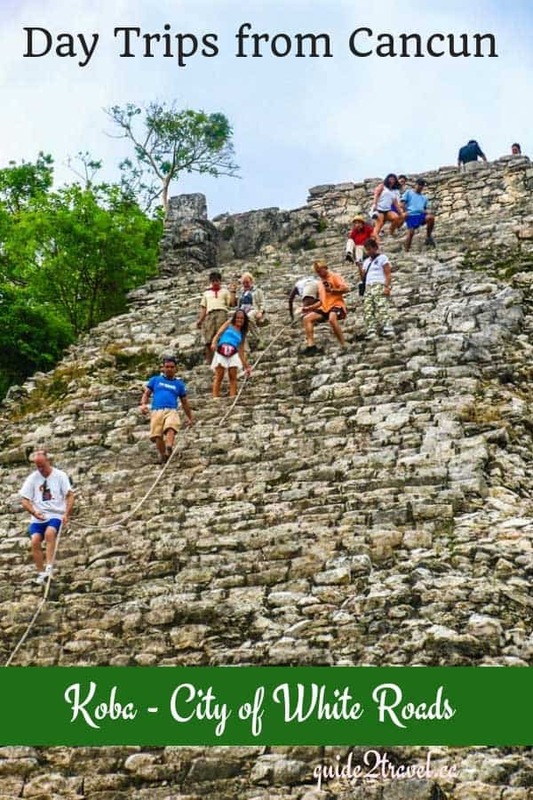 Most Mexican pyramids have been closed to public climbing due to the wear on the rocky stairs, however, Coba still allows it. Do check before you go, though, as Coba is often reported under consideration for closure by local authorities. I took all of these day trips from Cancun as part of a press trip hosted by Visit Mexico. 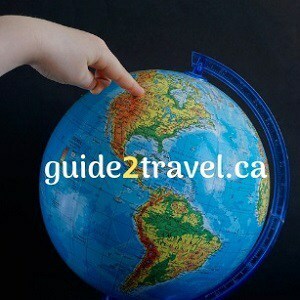 Visiting Cancun this winter? 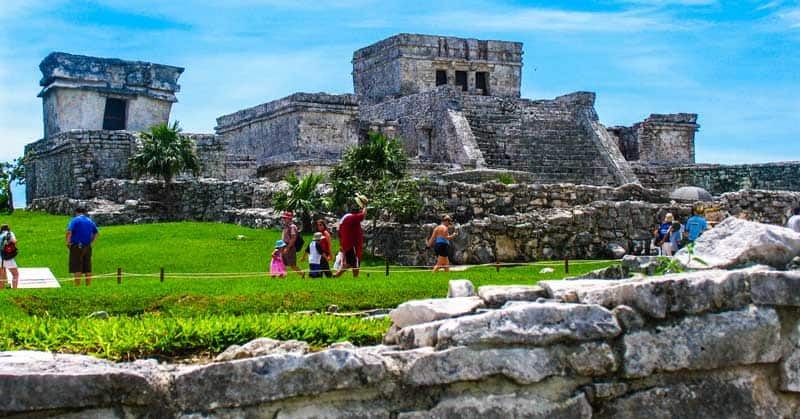 Check out these 5 day trips from Cancun to explore Mayan pyramids & more! The photo in the header above was taken in Tulum, Mexico, by Linda Aksomitis.